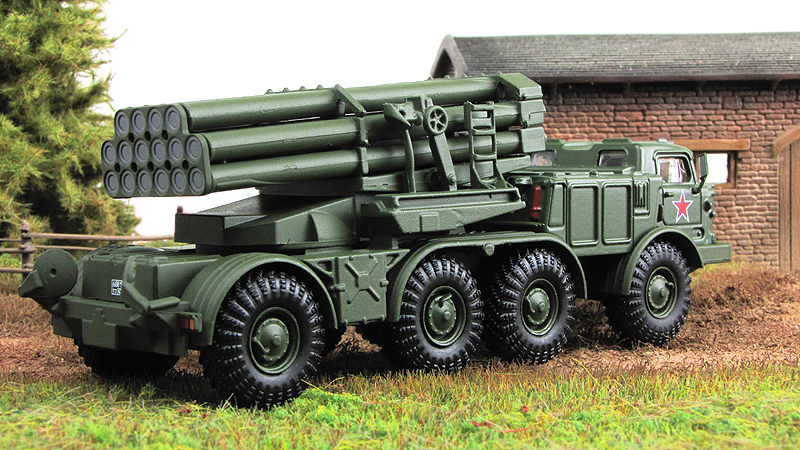 The BM-27 Uragan (Russian: Ураган, 'hurricane') is a self-propelled multiple rocket launcher system designed in the Soviet Union. 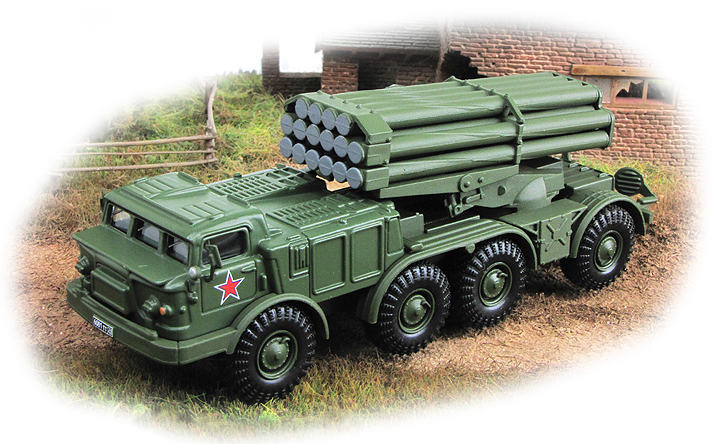 It began its service with the Soviet Army in the late 1970s, as its first modern spin and fin stabilized heavy multiple rocket launcher. 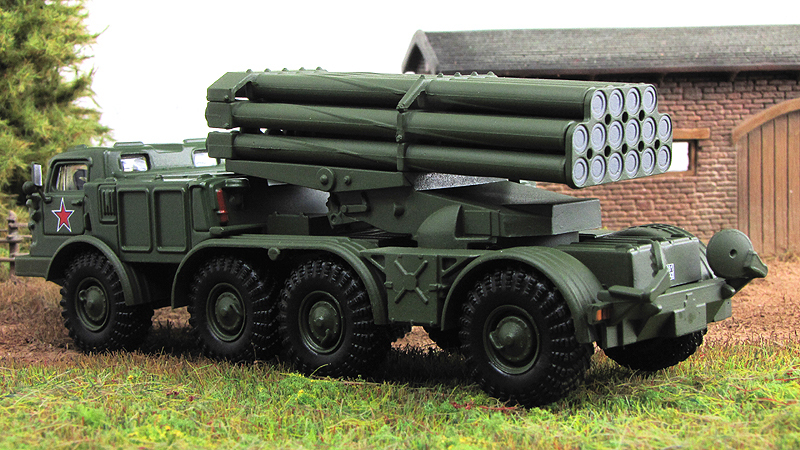 This system is capable of launching 220 mm rockets from 16 launch tubes mounted on the rear of a ZIL-135 8x8 chassis. This vehicle is extremely similar to that used in the FROG-7 free flight rocket system. It has 2 gasoline engines that power its 20 tonnes to a maximum speed of 65 kilometers per hour. One engine drives the 4 wheels on the left of the truck while the other engine drives the 4 wheels on the right. The ZIL-135 has 8 wheel drive, but only the front and rear axles are used for steering. It has a maximum cruising range of 500 kilometers. The cab of the ZIL-135 is NBC protected, allowing the rockets to be fired without exposing the crew to possible contaminants. The crew of 4 can emplace or displace the system in 3 minutes. Before firing, stabilizing jacks must be lowered and the blast shield raised to protect the cab and its occupants. Indirect fire aiming is achieved with the use of a PG-1 panoramic telescope. Although there are no night vision sights, the driver of the launch vehicle is equipped with a night vision device. 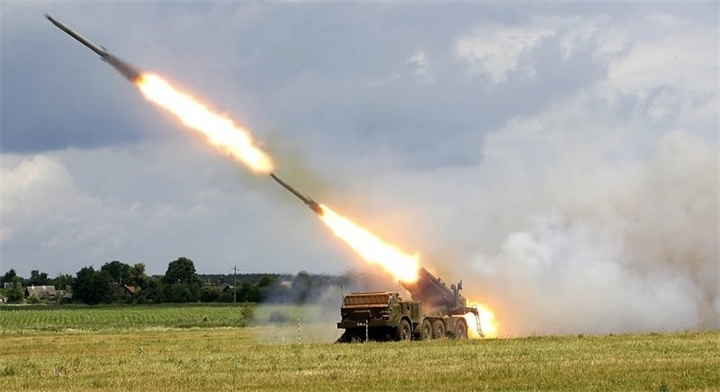 The BM-27 can use HE-FRAG, chemical, ICM or scatterable mine PTM-3 or PFM-1) submunition equipped rockets all of which are detonated by electric timing fuses. Each rocket weighs 280.4 kilograms. The warheads weigh between 90 and 100 kilograms depending on type. A full salvo of 16 rockets can be fired in 20 seconds and can engage targets within a range of 35 kilometers. 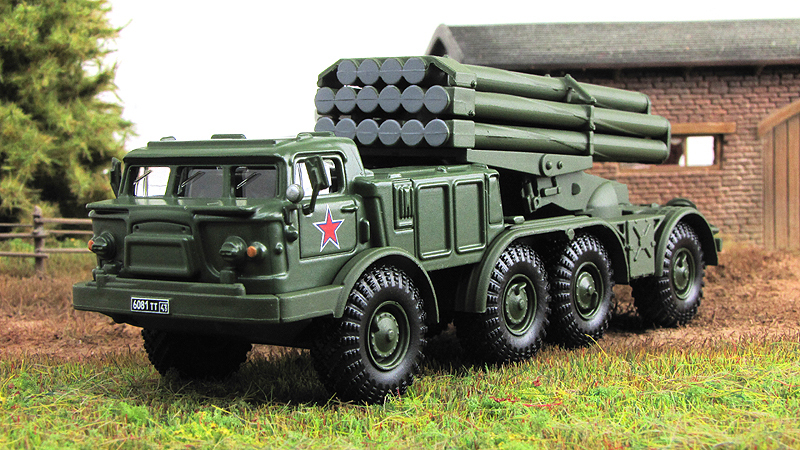 Because of the size of the warhead, the range of the rocket and the speed that a salvo can be delivered, the BM-27 is very effective at mine laying. Each 220 mm rocket can scatter 312 anti-personnel PFM-1 mines. Minefields can be laid behind a retreating enemy or even be used to trap an enemy by encircling them with mines. Tactics such as this were often used by the Soviets in Afghanistan. 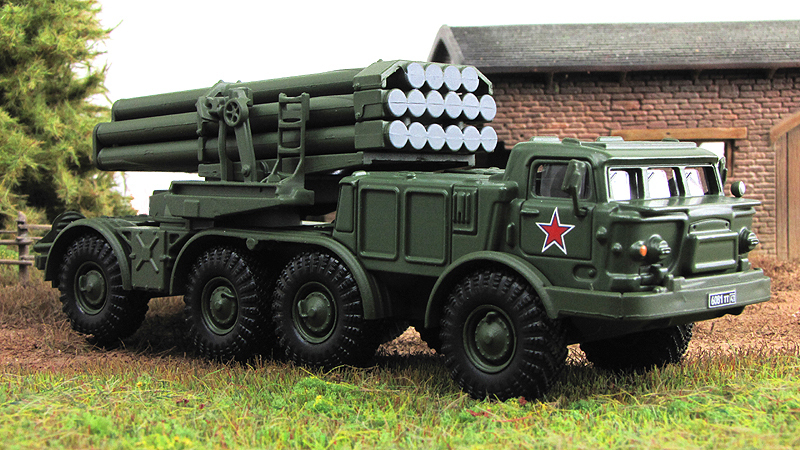 Once the rockets have been fired, 9T452 (another ZIL-135 based vehicle) is used to assist in reloading. It carries additional rockets and a crane to transfer the rockets from the reload vehicle to the launcher. The entire reloading procedure takes around 20 minutes.